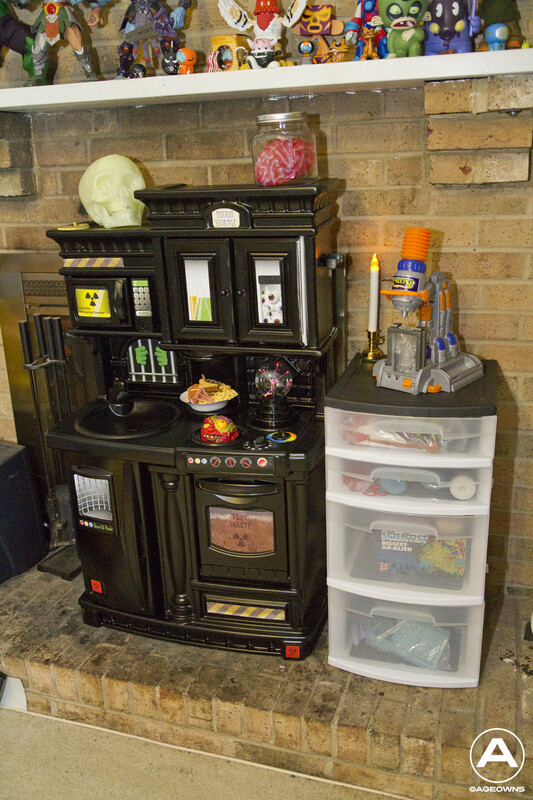 My six year old son has been talking about secret labs and mad scientists for almost a year. I caught an epiphany looking at used play kitchens at a consignment sale. I could spray that one black and make it a mad scientist lab…. I was really surprised that I could pull the whole thing off for less than $50, but make a pretty memorable toy. Click below for pics and how-to. My son and I love our Hot Wheels Monster Jam Monster trucks… we have a couple of the playsets, and lots and lots of trucks. We race them down the Showdown ramp, we spin donuts in the Crash Arena, and much to my wife’s chagrin, we leave them all over the house. Anyway, I decided to thin my son’s stable a little and take one or two to work. 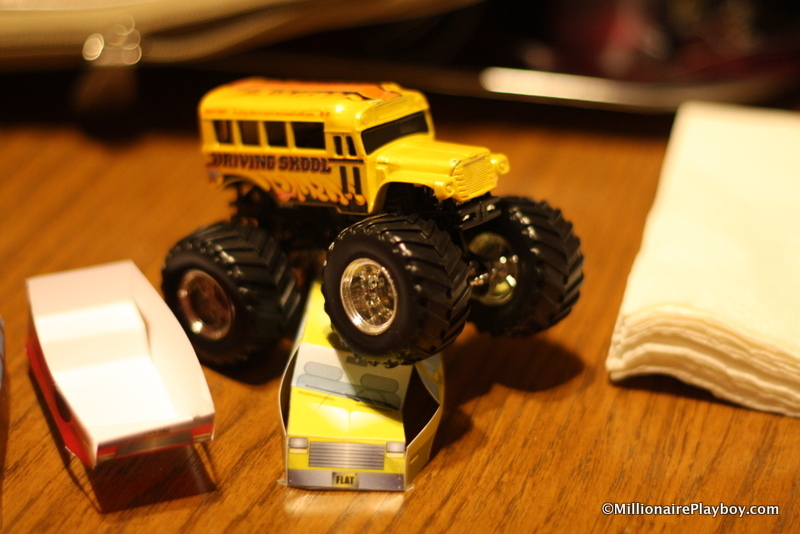 Yes, I look silly with Monster Trucks on my desk. So I decided to change the scenario and make a handsome backdrop display to improve their appearance in my workplace. And now you can too! Click below to get the PDF and see more pics. If you watched my video about the Hot Wheels Monster Jam playsets, you’ll know that I was a little disappointed with the wrecker cars (or victim cars) that are included with the sets. 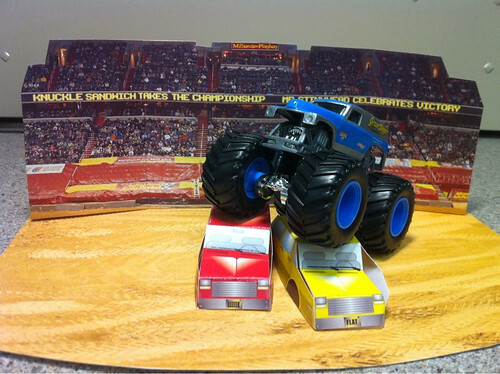 Yeah they look crushed and beat up, but why can’t we get some soft rubber or cheapo plastic cars that would physically crush under the Monster Jam trucks? 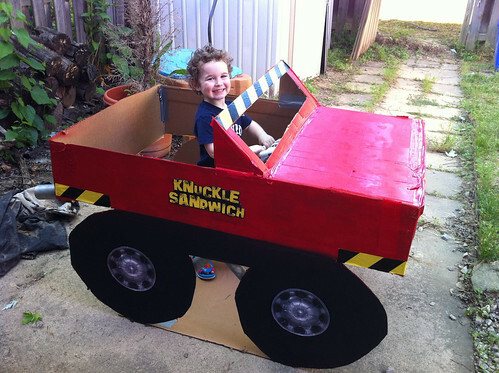 Perhaps its cost or safety, either way I took matters into my own hands, and produced this PDF of wrecker cars you can quickly print out and assemble (as many times as you want) for your Monster Trucks to run over. Check it out below! Check out this awesome AT-AT Bunk bed. You even get some in progress shots. 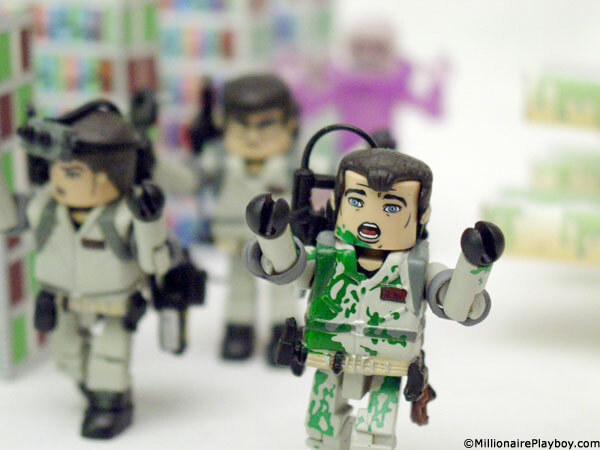 Here are my three Ghostbusters Minimates Backdrops you can download and assemble for free. 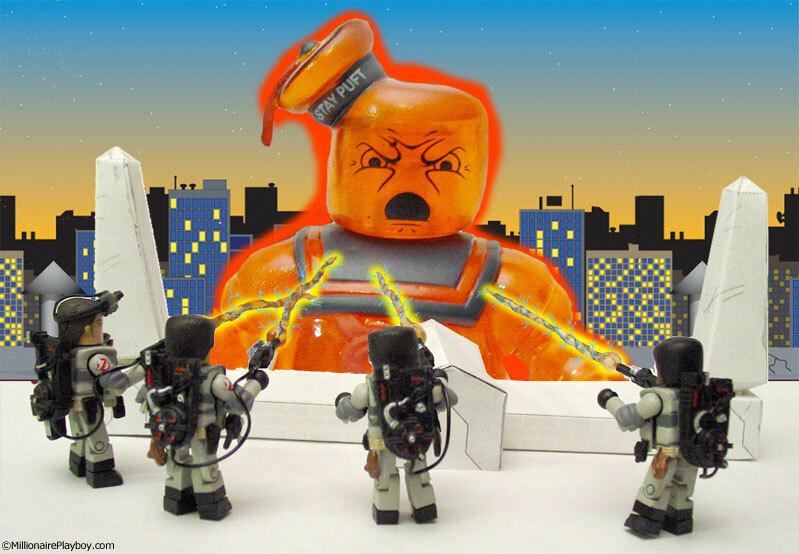 My latest one is the Ghostbusters Rooftop PDF (4.5Mb). Now you may be noticing this is only a small portion of the rooftop scene, and you’re right. 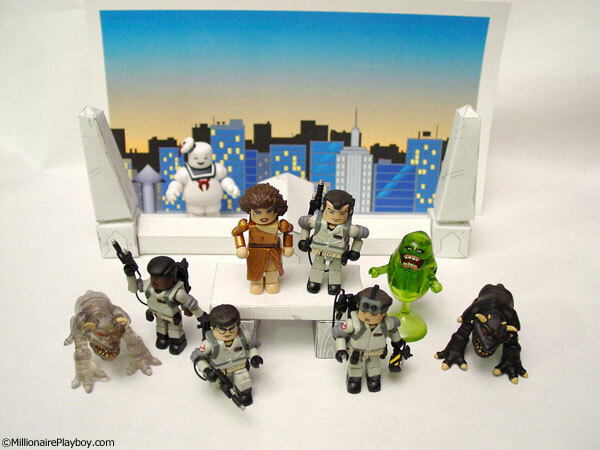 As soon as I get my hands on the Gozer Minimate (they say late October), I’ll do the temple stairs and it’ll fit in with this playset. Also, as a bonus, I included two large pics of the Stay Puft Marshmallow Man (regular and burning) so you can stick him behind the display if you choose. 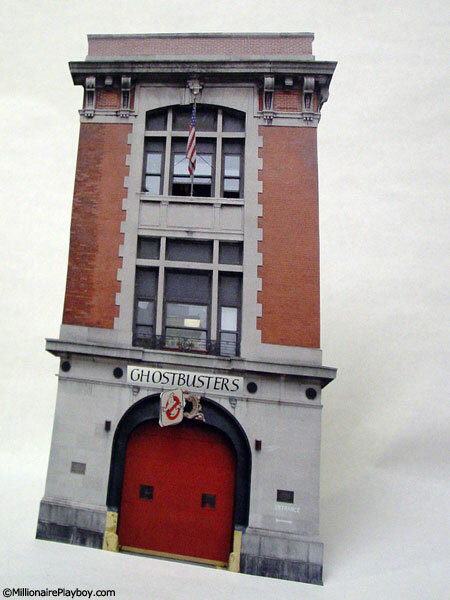 Hoping that you enjoyed my downloadable Firehouse backdrop for displaying your Ghostbuster Minimates, but now I’m taking it one step further with this 3D Haunted Library basement playset. Check out all these pics, and directions for assembling your own, for free! 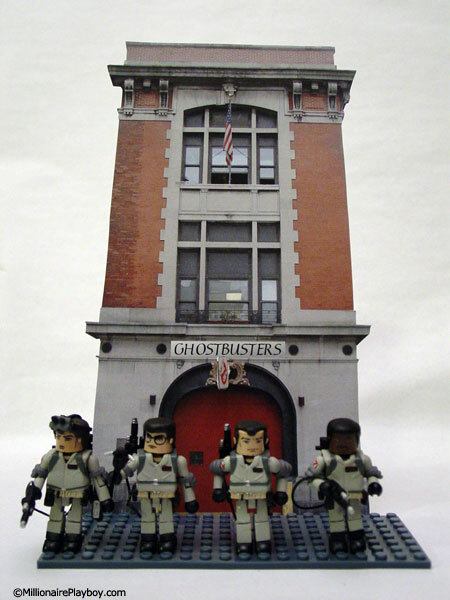 Ghostbusters Minimates Backdrop #1 – Firehouse Ext. Download this backdrop for free! Click to see more pics. 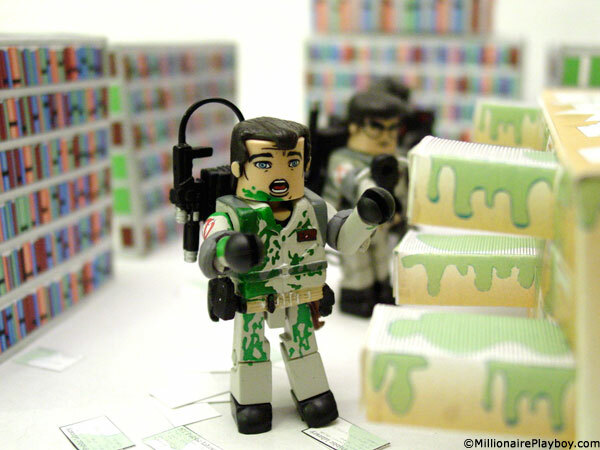 …continue reading Ghostbusters Minimates Backdrop #1 – Firehouse Ext.